The Portland trio of Kathy Foster, Jen Sbragia, and Kim Baxter (They used to be a quartet; former member Ari Douangpanya opted out of being a part of this record to focus on being a mom) offers up their third full-length and first since 2003’s “2”. This is also their first album to appear on their own agsfb label as the previous two were on K Records. They continue on their same style of making up-beat pop/rock. 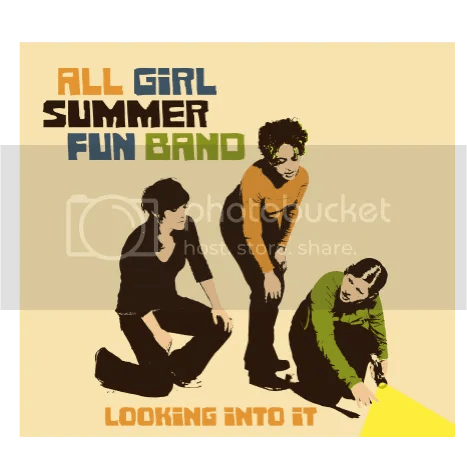 The girls all sing, and Kim and Jen trade off bass and guitar duties, with Kathy playing the drums on each of the songs (She also plays some other instruments as well, and is well known for her work as the drummer for The Thermals). They are exactly what their name implies, except their songs will still be just as fun in the winter as they are in summer. This entry was posted on September 25, 2008 at 12:00 pm and filed under TheSlacker. You can follow any responses to this entry through the RSS feed.